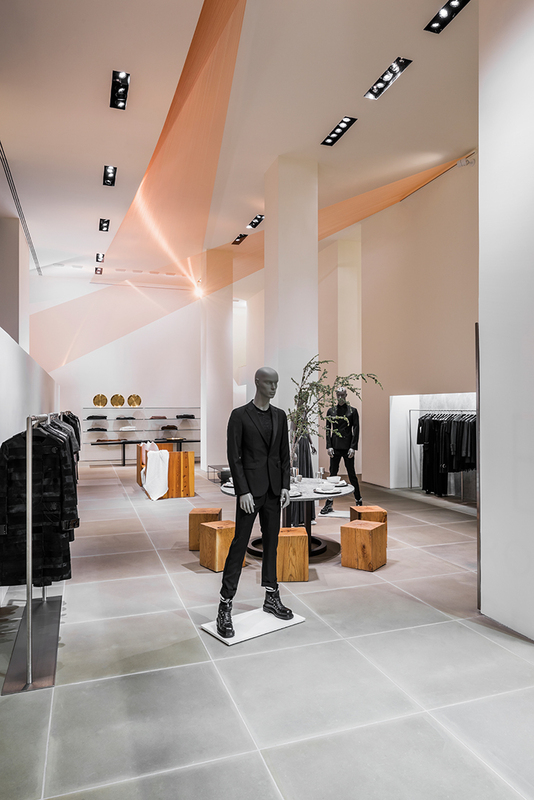 Forming Light by artist Sophia Dixon Dillo,is now on view in the windows and inside the Calvin Klein Collection Madison Avenue flagship store in New York City. The imaginative installation will engage holiday shoppers in the store’s windows at the corner of 60th Street and Madison Avenue. 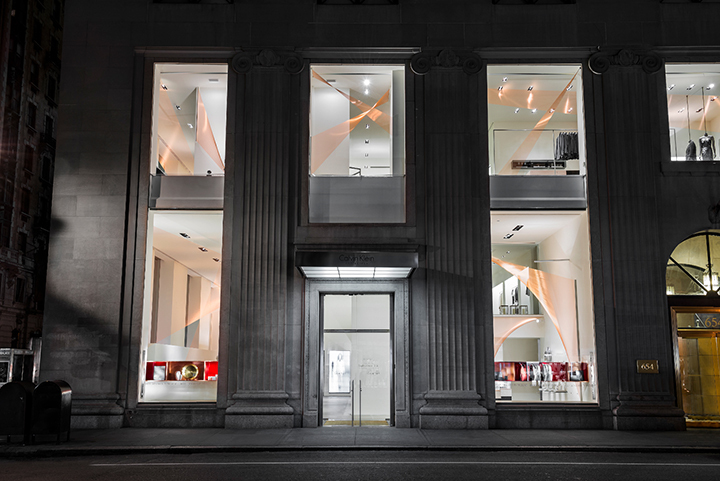 For this year’s holiday installation, artist Sophia Dixon Dillo, in collaboration with Dale Rozmiarek threaded 83 miles of copper embroidery fiber to create an all-over pattern throughout the Madison Avenue flagship store windows, creating Forming Light. 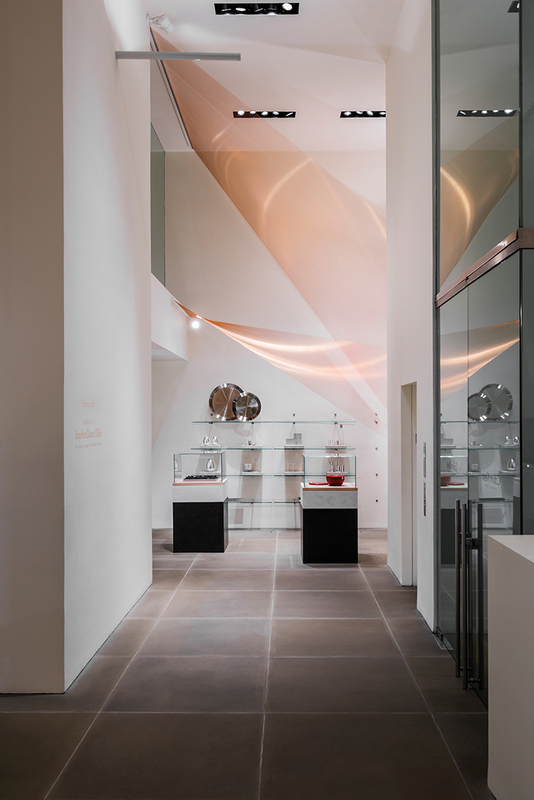 Subtle and minimal, the installation is experiential; it requires the viewer’s presence in order to witness the ever-shifting effects of light and movement on the piece. 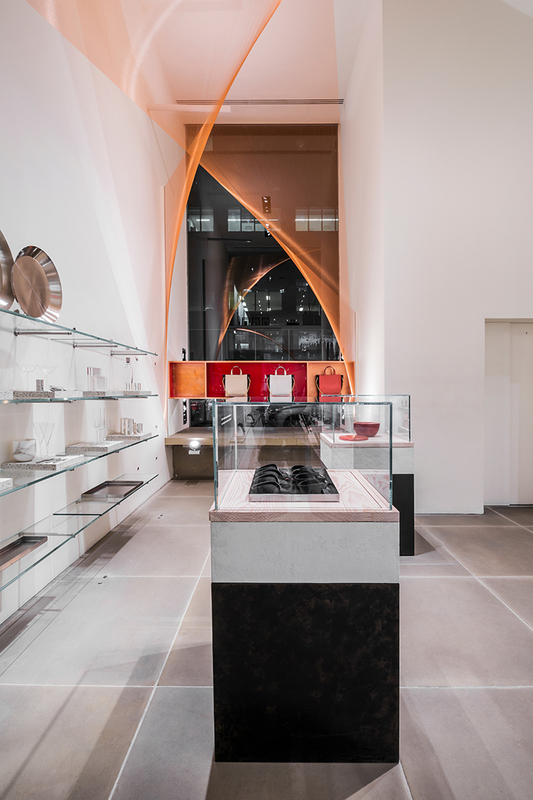 The work seamlessly echoes the Calvin Klein Collection home and accessories that were created exclusively for the installation and are prominently featured in the windows, with various tones of platinum, copper and rose gold that are utilized in all categories. The hopeful message, Keep Generosity Present, is integrated into the windows as well, subtly noting Calvin Klein and PVH’s support of international nonprofit organization, Save the Children, for this season. Sophia Dixon Dillo obtained her Master of Fine Arts in Painting from Colorado State University, and she first developed her interest in light as an active medium during her graduate years at the university. Dillo has exhibited throughout the U.S., and is collected internationally. Her recent solo exhibit, Emergence, was chosen as a “Pick of the Week” by ArtWeek .LA and as a “Best Pick” by collector Doug Simay. The New Museum celebrated the launch of NEW INC.